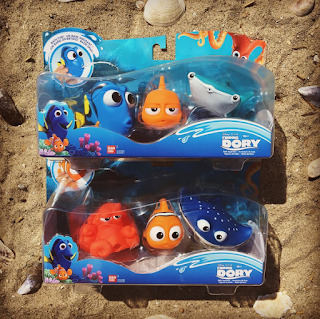 Bandai has created some wonderful toys this year for Finding Dory. I've shown a ton of them here thus far and there's still more to come! 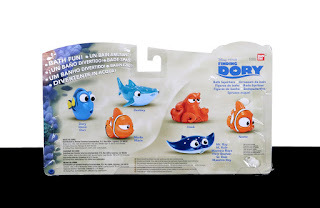 For today's post, we have these fin-tastic bath squirter multipacks featuring six of your favorite underwater friends from the film. 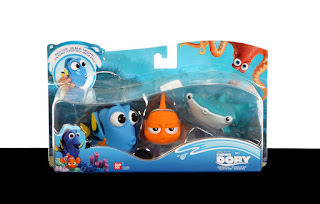 In set #1, we have Dory (with transport tag), Marlin and Destiny. In Set #2, Hank, Nemo and Mr. Ray are featured. 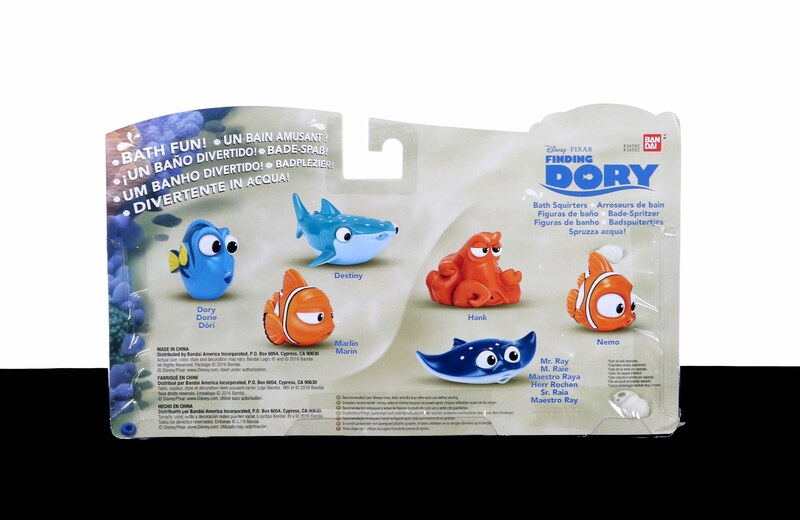 Kids can collect all six to recreate there favorite Finding Dory scenes during tub time! These adorable rubber squirters are about 2.5"- 4" in size and are perfect for the bath or pool (or really wherever water play is happening). Just fill, squirt and repeat! Your little ones will have a blast. I picked these 3-packs up at Toys R Us for $11.99 each. If you'd rather pick and choose select characters, you can also find each one in single packs at Walmart or Target for $3.99 each. 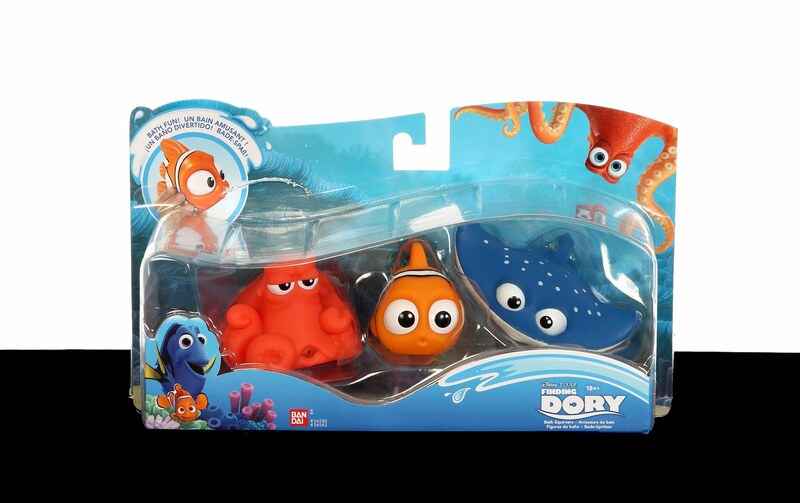 Stay tuned tomorrow for even more fun with this Finding Dory bath squirter collection! UPDATE- You can now view the Surprise Squirt Hank Playset post HERE.